Omnisphere Tajdo by MIDIssonance is Soundware (e.g. samples or presets that load into other products). 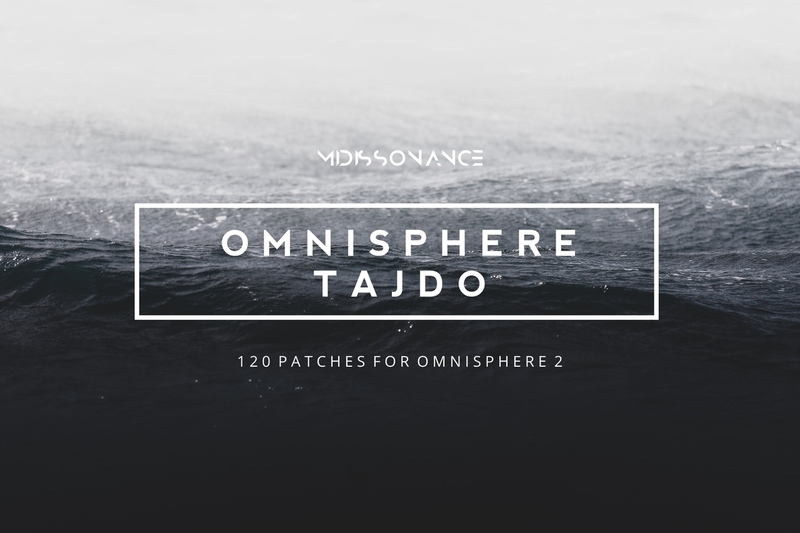 Omnisphere Tajdo is soundset and sample library for Spectrasonics' power synth Omnisphere 2, containing 120 cinematic patches. Omnisphere Tajdo is all about unique and inspiring pads, textures and atmospheres. Just like Kinejo & Movado, Omnisphere Tajdo takes the "hybrid" approach – patches are designed both with Omnisphere's soundsources and 50 new unique sounding soundsources, carefully recorded and specially processed for use within Omnisphere's powerful engine. Soundsources were created using a rare Korg synthesizer, Roland classic and several acoustic and electric instruments (guitars, piano, viola). Pads and textures are essential part of any modern cinematic track. Other than atmosphere, they work extremely well as a "glue" that brings cohesion to a track. Pads and textures that come with Omnisphere Tajdo are crafted in detail to fit in the mix instantly and effortlessly and to be subtle or to stand out, depending on what your track needs. From analog, warm, dark and dirty to organic, sparkling, beautiful and evocative, Omnisphere Tajdo covers it all. All samples are seamlessly looped. Patches are carefully programmed with detailed modulation capabilities, offering much more detail per every preset. *granular patches can be quite CPU-heavy if many voices are used.